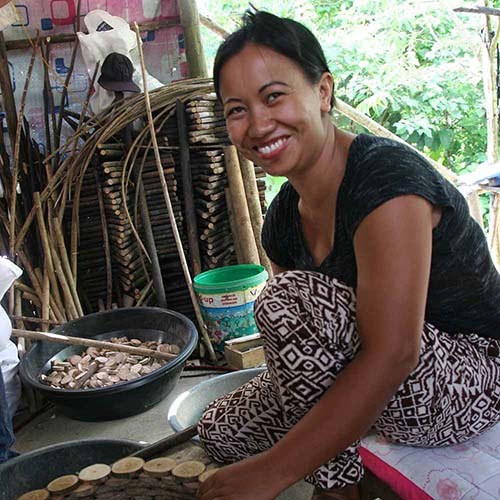 Community Crafts Association of the Philippines (CCAP) is a nonprofit organization that helps communities of marginalized artisans sell their handcrafted products in local and global fair trade markets. 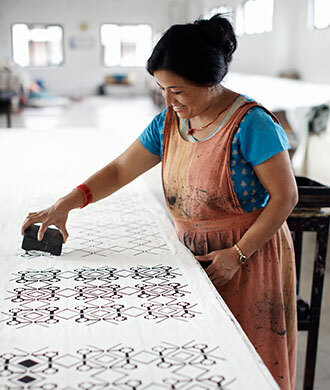 Your purchase enables Filipinos from the poorest urban and rural communities to become self-reliant through skilled handcrafting. I am so happy with this peace wreath. I looks great hanging on my barn. I love this very natural, sturdy "peace sign." It will be a wreath on our door for the holidays--and beyond. Excellent product! Excellent service. Bought this as a housewarming for my flower-child daughter-in-law. She LOVED it! She is going to lace it with sunflowers. Soooo cute! Service is seamless. 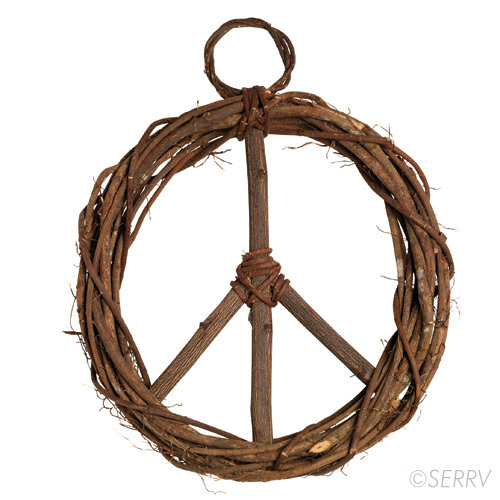 I saw this Peace wreath in the Serrv catalog a few times and finally decided I needed some PEACE in my house. It's a beautiful wreath made of wood and entwined branches. I hung it on my front porch so passers-by can see it. And I see it when I go in and out the front door. 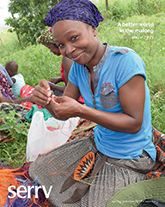 Knowing that my purchase is fair trade makes it an even more special addition to my home. I downsized to a small duplex last year. Since I'm renting, I can't make major changes or paint. I wasn't sure how I was going to add charm to a drab front entrance. Then I found this wreath. I hung it from my front door using a Command Designer hook. I get compliments all the time. It's the perfect size and looks exactly like the photo. Highly recommend. Excellent quality and is as it appears in the catalogue. This is a generously sized and beautifully made piece. I immediately put in on our front door, but it could equally be used inside. In fact, I have many places I'd love to use it--might buy another.... 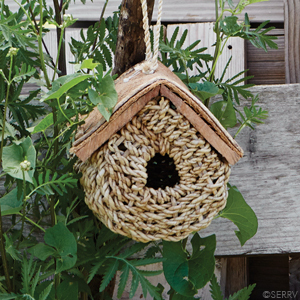 It has an organic, somewhat rustic feel and look, and carries a wonderful message. A sturdy and well made product. I was looking for something festive yet a little different. This wreath looks great as is or it can easily be dressed up depending on the season. A very nice addition to our Christmas decorations for our little house "down on the farm". Very nice & pleased. Love it! Sells well in our store. Very beautiful wreath. I am very satisfied. Like one of the other reviewers, I too have been looking at this wreath for a few years, wanting to buy it. This year I finally did and I'm so glad I did. It's very well made and looks gorgeous on my front door. I wove some small pieces of evergreen around the circle and added some red bird ornaments and small colorful Christmas ball ornaments tucked in here and there. I'm going to leave it up all year and change the decoration according to the season. Fresh flowers and leaves from my garden in Spring and Summer, and dried leaves, etc. in the Fall. I will cherish this Peace Wreath for years to come. The best part of this wreath is the message it conveys! 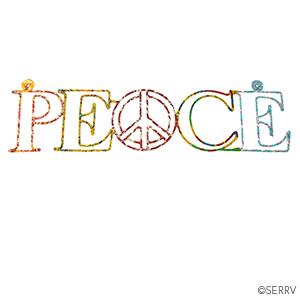 The traditional peace symbol that one can hang outside or inside. It fits on my front door and I plan to add accents as the season changes! I am very pleased with my purchase. I ordered 2 of these beautiful wreaths: one for pur home and one for my sister- and brother-in-law's home. The simple sentiment expressed by this wreath is perfect during these times in America, as we struggle with decisions that our current President is making. Thank you for having this lovely wreath available to those of us who treasure the concept of world peace. Beautifully well made. A perfect addition to my terrace wall. Awesome wreath - peace out!! This wreath is very sturdy and well made; it's also quite beautiful. It makes the statement I want to make in a unique way. I just love this peace sign. I encircled the outside ring with tiny led lights and it is the ultimate Christmas display. Been looking at this in the catalog for three years, finally treated myself. Added a string of tiny LEDs and a Christmas ribbon - perfect! Love it! I welcomes my guests at the front door. Love this wreath, its uniqueness and amazing craftsmanship set this apart from any decorative piece I have ever purchased. Would recommend to any peace-loving person!!! 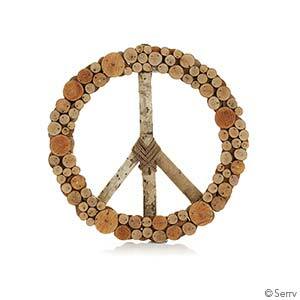 We can't keep this simple, yet beautiful, peace wreath in our store! I got this as a gift for my mom but when it arrived I wanted to keep it for myself. The craftsmanship on it is stunning; you can tell that it's handmade but done so with care and finesse. You would never be able to step foot into a regular store and find something of this quality and at this price made by some machine. I bought one of these 3 1/2 years ago and it's been hanging in the sun and wind since. Still looks great. This is a great addition to your wall and is a nice talking piece for your room.